NB: The larger your order, the lower the shipping cost per kg. 1. East London and surrounds - collect from our factory at no charge, we will sms you with details or pay a flat fee of R 30 per order and we will deliver. .
2. Post Office: Suitable for SA smaller towns and country districts, or anywhere in SA. R 30 for item 1 and R 10 for each additional item thereafter to a maximum of R 50 irrespective of quantity. 3. Door-2-door for all major cities and nearby . A maximum fee of R 80, irrespective of quantity. There is a time and place for both! If one was to draw an analogy with motor cars and compared our coffee with the Toyota range of motor vehicles, our C&H Signature Blends would be comparable to the quite exceptional Toyota Hilux. A class on it’s own as far as pick-ups go, a superb off-roader with heaps of added extra’s to enhance the comfort of ride. Using our vehicle analogy, The Toyota Landcruiser might best describe the brand positioning. Roasters Reserve Blend: This blend is similar to the C&H Signature blend (above) except we adjust the rations and add two additional beans. The difference is subtle but it is nevertheless there. Expect a coffee that will hold it’s own or exceed the standard of some of the worlds best blends. Think coffee like Blue Mountain; coffee from the famed Yirgacheffe region of Ethiopia, or perhaps the awesome Tanzanian beans and Honduras which are coming through nicely. Our most popular range. A premium quality blend of selected arabica beans well suited for either espresso (pressurised brewing systems; stove-top; traditional; bean-to-cup automatic) or filter brewing (now pressurised; drip and percolating systems) systems. This is our most popular range and is used by discerning coffee lovers, coffee shops and other users throughout South Africa. We select four or more high-grown arabica coffees with complimentary characteristics so that when blended, they combine to form a well balanced coffee which meets the most exacting standards. 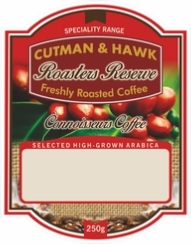 In addition to the above C&H Signature Blend range, we have recently added the Cutman & Hawk Roasters Reserve range. Ethiopia Yirgacheffe One of the worlds finest coffees. Roasters Reserve Single origins: Note: We only roast these beans to a medium or City Roast. Thereby ensuring that you will enjoy the full bean flavour rather than the roasting flavour. Coffee from each different region has individual characteristics and a unique taste which is often indiscernible in a blend or when beans are roasted too dark. Our range of single origin coffees allows you to enjoy this special experience. If we were to over-roast these fine beans, the individual flavours and other individual characteristics peculiar to superior beans would be lost. 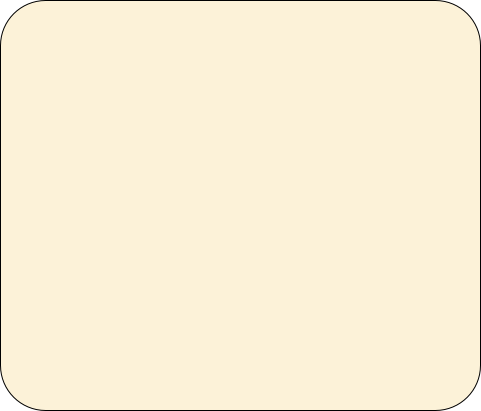 This does not mean that the beans cannot be brewed in different ways, by all means, from a bean-to-cup; espresso machine or a simple plunger. We do recommend that (at first), these are tasted with little to no milk or other additives. This will enhance your experience and go a long way to helping you discover a world of new coffee. The 1 kg Signature Blend at R 198 is on an exclusive promotion to our online customers. Rarely does coffee of this quality become available at this price. 2. Decide between beans or ground coffee. 3. Decide if you want a medium (we call this a filter roast) or a darker roast (we call this an espresso roast). In general terms, a darker roast (and a fine grind) is recommended for espresso, stove-top, or pressurised systems and a medium roast (and a medium medium grind) for plunger of pour over systems. 4. Fill in the required forms and pay using our secure portal. New: Look out below for two new additions. Roasters Reserve Blend 2H. “Discovered” during a fun tasting with good friend and coffee guru Mr Shaun Aupais. A blend of our SHG Honduran and a long-bean natural Harrar. We also have a new speciality Burundi Gishubi 25 microlot. Adjudged by our laboratory team with the highest percentage of any bean tasted by us TO DATE! Look out for a clean cup, mild but good acidity and lovely red-berry flavours. An exceptional bean.